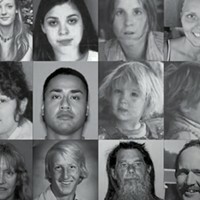 My sister is one of the disappeared ("The Humboldt 35," Feb. 1). She vanished into thin air. How this happened remains a mystery. Possible explanations include murder, escape and assisted suicide. I like to imagine she was rescued from Humboldt by one of her old boyfriends, who whisked her off to a tropical paradise like Costa Rica. This is improbable but it comforts me. She has or had mental health issues, and although she is an extreme case, her disappearance puts a spotlight on our utterly, utterly inadequate mental health services environment, which has only worsened in the years since her disappearance, even as our county's mental health problems have intensified.